The British tenor Christopher Lemmings studied at the Guildhall School of Music and Drama. He made his Covent Garden debut as Stingo in Nicholas Maw’s Sophie’s Choice under Sir Simon Rattle, consequently portraying Caliban in Thomas Adès’The Tempest (also for BBC television and in Strasbourg) and Scaramuccio Ariadne auf Naxos under Sir Colin Davis. With a wide ranging concert repertoire, Christopher has performed in some of the world's most renowned venues. Notable performances include Finzi’s Intimations of Immortality (Royal Liverpool Philharmonic), Stravinsky’s Pulcinella with the Northern Sinfonia under Thomas Adès at the Sage, Gateshead and Snape Maltings, Aldeburgh, Rossini’s Stabat Mater with the RTE Concert Orchestra at the National Concert Hall, Dublin under Proinnsias O'Duinn, Haydn’s Stabat Mater (Norwegian Radio Symphony Orchestra under Christopher Bell), Messiah with the English Chamber Orchestra in Madrid, Vittoria and London's Cadogan Hall under Karel Marc Chichon,War Requiem with the Darmstadt Konzertchor under Wolfgang Seeliger, Janacek’s Glagolitic Mass at the Brighton Festival under Thierry Fischer, Beethoven's 9th Symphony with both the Vojvodina Symphony Orchestra and the Bulgarian National Philharmonic Choir in the Novi Sad Festival, Serbia under Berislav Skenderovic, and with the Camerata Strumentale, Prato, under Jonathan Webb, Carl Orff's Carmina Burana at the Royal Festival Hall under Ronald Corp, and Mozart's Thamos, König in Ägypten with the BBC Proms under John Lubbock. A critically acclaimed Gerontius, recent performances include the Sage, Gateshead, the Cambridge Philharmonic at Ely Cathedral and the Blackheath Concert Halls. Opera in concert include appearances in the Zaterdag Matinee at the Concertgebouw Amsterdam, in performances of the Hotel Porter in Death in Venice under Kenneth Montgommery, Lechmere Owen Wingrave under Lawrence Rennes and Molqi The Death of Klinghoffer under Edo de Waart; Itulbo Il Pirata andL’abate/Un incredibile Andrea Chénier with the Chelsea Opera Group at the Queen Elizabeth Hall. 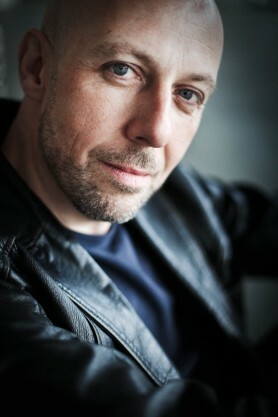 He has performed Beauty in Gerald Barry’s Triumph of Beauty and Deceit with the Ives Ensemble at the Concertgebouw, Amsterdam, with the Los Angeles Philharmonic at the Disney Hall, and with the Birmingham Contemporary Music Group at Maison Radio France, Paris, and at the Carnegie Hall, New York. Christopher has performed widely on the opera stage: for Glyndebourne Tour he has sung Tito La Clemenza di Tito, Belmonte Die Entführung aus dem Serail, Lechmere Owen Wingrave, for Glyndebourne Festival: Il Maestro di Ballo Manon Lescaut, and Bartholomew, a role he created, in Sir Harrison Birtwistle’s The Last Supper, premièred at the Staatsoper, Berlin under Daniel Barenboim; Don Ottavio Don Giovanni (Cologne/Verona); Il Podestà La Finta Giardiniera (Buxton Festival); Albert Albert Herring ETO; both L’abate di Chazeuil Adriana Lecouvreur and Ferrando Cosi Fan Tutte for Holland Park Opera; Bob Boles Peter Grimes, Der Bucklige Die Frau ohne Schatten and Spoletta Tosca (Vlaamse Opera), the Schoolmaster Cunning Little Vixen (Bergen National Opera), Mouse/Dormouse in Unsuk Chin's Alice in Wonderland with the LA Philharmonic and the BBC Symphony Orchestra, Molqi The Death of Klinghoffer Finnish National Opera, Sellem The Rake’s Progress (Opera Nantes/Angers) and Knussen's Where the Wild Things Are/Higglety Pigglety Pop! with the Aldeburgh Festival at the Snape Maltings and with the Los Angeles Philharmonic at the Disney Hall, Los Angeles under Gustavo Dudamel. The current seasons include Stravinsky's Renard and Les Noces at the Stresa Festival, Italy, Rossini Stabat Mater/Puccini Messa di Gloria with the Highgate Choral under Ronald Corp, The Shadow NORAH-too late (Du Wei) China and a Norway tour, Jack O'Brien Mahagonny (Rome Opera/La Fenice), Goro Madama Butterfly (Bergen National Opera), and Fabbio Vacchi's new opera Lo Specchio Magico for the 2016 Maggio Musicale Fiorentino. Recordings include the critically acclaimed Rorem Auden Songs with Chamber Domaine (Sanctuary Classics), The Sacred Heart of Nino Rota (Zitto), and Michael Berkeley and Ian McEwan's opera For You (Signum). Christopher Lemmings animated (his) lines with operatic fervour. Lemmings’s timbre in the upper reaches of the register even lent an authentically Slav flavour to the music, matching the typically citrus colouring of Janácek’s orchestration. Dream of Gerontius - with Oxford Harmonic Society conducted by Robert Secret - Oxford SheldonianChristopher Lemmings...displayed a masterly technique as he phrased and delivered the verse. Sometimes he was truly chilling too: in "I go before my Judge..."